With less than 70 days to the elections, all indications are that the battle for the Nairobi Gubernatorial seat with be a neck-and-neck race between the incumbent Dr Evans Kidero and Nairobi Senator Mike Mbuvi Sonko. Kidero, flying the Orange Democratic Movement (ODM) flag under the National Super Alliance (NASA) banner, boasts a massive financial war-chest, the power of incumbency, which to a greater extent matters a lot in local politics, while his erstwhile rival, Sonko, also has a lot of resources. 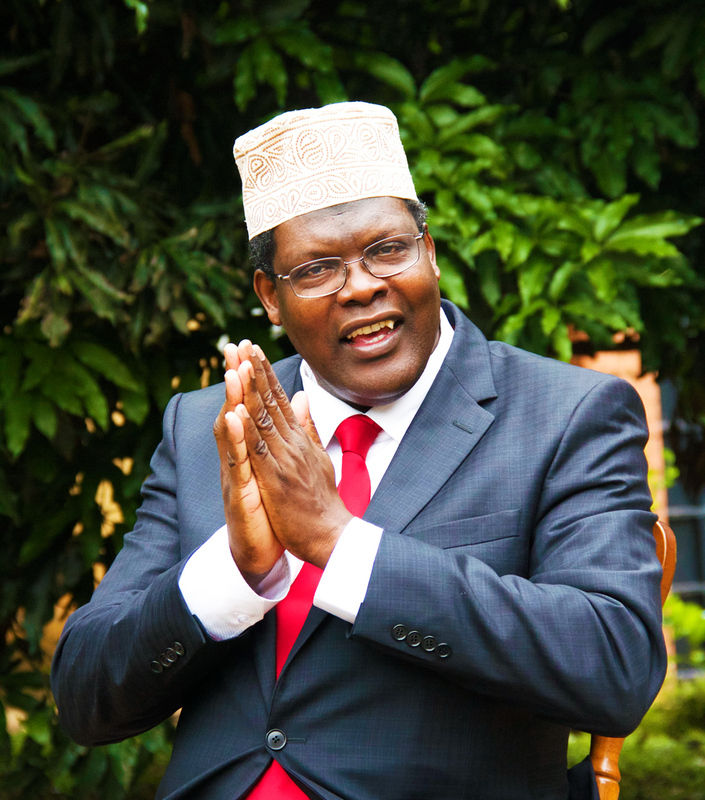 Besides the duo, there is the affable, Canadian-educated Miguna Miguna, who is vying for the seat as an independent. According to observers, Miguna Miguna, who is projecting himself as the “clean candidate” and an alternative voice to the Nairobi body politics, stands no real chance. Granted, he has mounted no serious campaign; he has neither been seen combing the middle class suburbs of the city, nor been seen engaging the voters domiciled in the low income neighbourhoods of Kibera, Kawangware, and Korogocho, et al. But who amongst these men stands the real chance? Will the riff raff Sonko pull a fast one on the incumbent or will the assured and polished daktari prevail? But again, could Nairobians decide to pull the unexpected rebel vote and send Miguna to City Hall? The Nairobi Law Monthly takes a critical look. An alumni of the University of Nairobi, the 60 year old is a Pharmacist by profession and has had decorated stints in the corporate world where he managed amongst others, GlaxoSmithKline, the Nation Media Group and Mumias Sugar Limited. His stint at NMG was quite impressive but at Mumias things turned elephant as he has had to fight the perception that he contributed to the company’s downfall. On August 8, he will be fighting the political battle of his life. Five years as the Governor of the richest county, most city residents believe that he has done little if not spectacularly failed in his mandate. Choking garbage, sickening traffic, disorderliness in the city, dysfunctional traffic lights, askaris who are ill-trained, discourteous, out of touch and misinformed, poor service delivery and falling quality of education and healthcare in the county’s health facilities and schools have marred his tenure. For that, it will be hard for his to sell his agenda to well informed, level- headed city dwellers that want nothing but a clean and efficient city. To the voters who grew up in Nairobi during its golden days as “The Green City in the Sun”, Kidero, unfortunately, is a man whom they will not consider having presided over the city’s fall from grace to grass. However, to the ethnic bigot, and in a country where the tribe is supreme, Kidero will surely be the Alpha and Omega for whom they’ll cast their lot. What however works for Kidero is the fact that his opponent, Sonko, is a ruffian politician who plays to the public gallery. Sonko’s unenviable tag is largely due to his unimpressive background that includes amongst others stints in jail; he therefore does not appeal to the movers and shakers of Nairobi’s economy that would be at more at ease with Kidero. On this scale, Kidero should rebrand and repackage himself as the link to the envisaged Nairobi Metropolis but which may after all never be realised under his watch. Whether he manages to sells this idea to the increasingly well-informed electorate is another thing. Besides his dismal performance as far as service delivery is concerned, on the political front, Kidero carries a lot of baggage. During his second and third years in office, the governor was closely linked to the Kalausi (whirlwind) Movement – the loose political organisation bringing together disgruntled politicians from Luo Nyanza who was deemed to be going against the grain and who advocated for “political liberation” and economic empowerment of Luo Nyanza. In it was Rongo Member of Parliament Dalmas Otieno, his Kisumu Central counterpart Ken Obura, Ugenya MP David Ochieng amongst others. 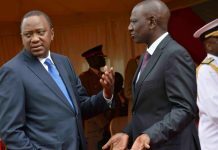 For his association with this amorphous body, his fundraisers in Nyanza disguised as development-oriented, coupled with his cosiness with President Uhuru Kenyatta, there are Luo voters and a section of Nasa supporters who still view him with suspicion and questions about his loyalty to the Odinga cause may never die anytime down. 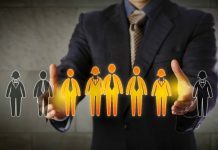 Others may argue that being granted a direct nomination points to the trust that he enjoys within the party but elections are tricky affairs and voters can be quite unpredictable as witnessed in the recent Brexit vote, American, as well as French elections. Still there is a cadre of voters, informed by this and other factors that may opt not to vote for any candidate in the gubernatorial race but cast their lot for the presidency alone, thus jeopardising his chances of retaining his seat. Apart from that, Kidero and his running mate Jonathan Mueke, face a litmus test in their bid to whip total support from the Kamba nation, which constitutes a large chunk of Nairobi voters. Seeing that Sonko is a rabble-rouser who connects with the common man and capable of unleashing the ethnic card when it suits him, the Kamba vote could be headed for major split with Sonko attracting a huge share which could hurt Kidero and Mueke’s cause. Another disadvantage to Kidero is the fact that Mueke has not used his four years in the political arena to establish himself as a master in the art. He is not a good grassroots mobiliser who can be relied on to marshal votes. For this reason, Kidero will largely depend on the goodwill of the NASA coalition and the support of the principals such as Kalonzo to get the Kamba vote. “On a honest ratio, I think my good friend Dr Evans Kidero has failed terribly, be it on matters traffic in the city or cabbage collection. 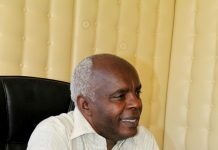 These are things that appeal to every voter and if he was to be judged based on these, then I see him as a failure, “Muluka recently said in a TV-magazine show. With the antennae raised and voters already having a solid foundation through which to judge him, he faces an epic battle. At 42, he is the youngest of the candidates gunning to unseat the incumbent. He terms himself as a self-made man who has worked hard to be where he is. But to critics, Sonko owes his success to Kenya’s rotten justice system. These critics argue that had the man lived in mature democracies with functional systems, he would probably be in jail, never coming close to the public life, allure and the trappings that he enjoys today. That aside, his flamboyant youthful dressing style and obscene hair styles have in the past given him away but he never seemed not to give a damn so long as he stuck to his cause of protecting and defending the his ordinary voters who sent him to Parliament. And perhaps aware of the weight of expectations that come with the Governor’s office, Sonko seems to be working on this image if his recent TV interview appearance and performance is to be used as a yardstick. He lives in Eastlands, and has worked his way up from a humble beginning, whether hook or crook, and still maintains the appeal amongst the ordinary folks and a sizeable number of middle classes. His mobilisation skills are perhaps his greatest asset. This is evidenced by the fact that he trounced Reuben Ndolo to win the Makadara parliamentary seat in a by- election in 2010 as a little known fella and as if to prove that this win was no fluke, he took even on a mightier challenge contesting the Nairobi Senatorial position winning by a landslide after garnering 808,705 votes to 525,822 of his main rival, ODM’s Margaret Wanjiru. One needs not to look any further for prove of his acumen after his recent heroics in the Nairobi Gubernatorial race where he crushed a reasonably stronger candidate in State House’s blue-eyed boy Peter Kenneth by chastening margins. Based on these records and his unexplained source of wealth, he is an even match for Kidero. His crushing victory over Kenneth, who was a clear systems favourite, no doubt sent a chill on Kidero’s camp, even as it is conceded that a day in politic could be as along as a decade, and that a lot could transpire between now and elections altering the landscape. However, should all factors remain constant, he could as well be the next Governor. In picking Vivo Energy boss Polycarp Igathe as his running mate, Sonko has sent a loaded message to the elites as well as to the corporate world that he wants Nairobi fixed through entrepreneurial ideas and that he has a brain and a team that would make Nairobi tick again. He is 54, and a graduate of Political Science and Philosophy from the University Of Toronto, Canada. He’s also a razor-sharp lawyer. While serving up as student leader at the University of Nairobi, he was detained for political activism and has stayed true to his nature to date. Besides his sharp mind and savage tongue, Miguna is an author of “Peeling Back the Mask: A Quest for Justice in Kenya”. Of the three candidates, he is considered the underdog. As opposed to his competitors, Miguna does not boast of the riches or the financial might to run a jaw-dropping campaign. Though many dismiss him as a non- starter, there is a certain breed of voters whom he appeals too – mainly the young, independent minded professionals who are sick of the system planted corruption and ineptitude in governance. He likes to draw comparisons between Nairobi and Canadian cities, which, he says, are models of good governance. “The people of Canada do not need these services, they already have them. In Nairobi, it is needed and that is why I’m running as a Governor here, otherwise I would have chosen to live in comfort there,” he once said. A man who calls a spade a spade and shoots from the hip, he has been said to be arrogant with many arguing that his failure to get the backing of either of the two major parties may cost him votes, assertions that he has greatly denied. His choice of a running mate, a 24-year-old former Laikipia University student leader James Karihe Gathungu, has left even his staunchest of supporters at a loss for words, and it remains to be seen if he will pull off the Biblical David vs. Goliath analogical glory and slay his two moneyed competitors. But, like many others, perhaps we shouldn’t hold our breath for such a conclusion.